At any concert, an opener is necessary — it warms up the crowd, gets the people going — but the fans really go wild when the headliner takes the stage. 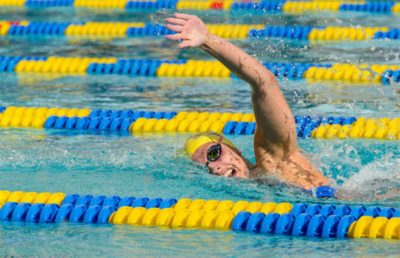 Today, Cal women’s swim will face Oregon State University in its 2017 home opener, but the Beavers are just that — an opener. A few individual Bears have already gotten a taste of elite competition, but as a whole, the meet against No. 13 North Carolina State on Saturday will be the first real gig for Cal. The last time the Bears and the Wolfpack were under the same roof competing, they were at the Indiana University Natatorium in the 2017 NCAA Championships. Cal took second and NC State took seventh, but the five spots between the teams sound deceivingly close. The two were separated by 172 points — no small margin at all. NC State will be spared no mercy in its trip to the West Coast, as it will face Stanford, the winner of NCAAs, the day before it heads to Berkeley to take on the Bears. If 172 points were not a large enough margin, the Cardinal toppled the Wolfpack by 332.5. Because Stanford is a nearly invincible powerhouse, it would not be surprising if the Wolfpack saves its best for Cal. NC State will undoubtedly have a tough task in taking on the Bears, but it at least has a fighting chance. Juniors Kathleen Baker and Katie McLaughlin, sophomores Abbey Weitzeil and Maddie Murphy are all returners who competed in Indiana some months ago. With the addition of freshman Robin Neumann, these five swimmers have also already had a chance to hit the main stage at the USA College Challenge. 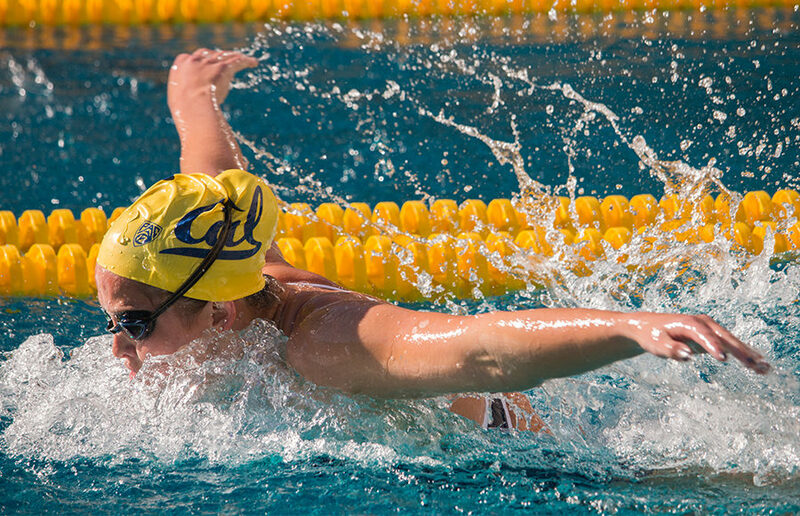 The Cal representatives held their own against some of the best swimmers in the nation and even conquered them in many events. But the performance from this group, which includes three USA national team members, wasn’t necessarily a surprise. One should expect greatness from headline names. 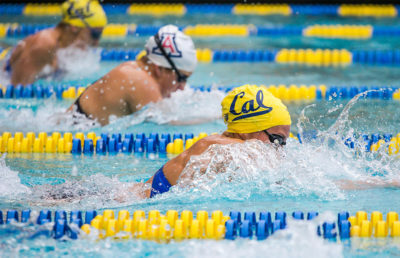 Of the eight-person freshman class, Neumann and Sarah Darcel have seen the most action in the pool thus far and are more likely to be on the roster against the Wolfpack. Sophomores Keaton Blovad and Chenoa Devine and senior Noemie Thomas are all NCAA returners who could also play a key role in pulling out a win over NC State on Saturday. As the Bears take the stage for their biggest performance up to this point in the season, they will look to create a seamless set list and put on a winning show for their home fans.